An easy sail from Taha’a led us to Bora Bora. It’s exciting to be in a place known worldwide for its beauty, romantic, and exoticism. And so far it has not disappointed! Read about our best anchorages in Bora Bora. Our first morning we took off in our tender to go around the south of the island and to a snorkeling area. I now know we could have taken Starry Horizons there, or at least closer, as we saw many boats anchored in the shallows between the island and the exterior reef. Once the channel turned north, we pulled over to the west side and anchored in about 7 feet of sand. From there, we snorkeled around the shallows a bit, but what we REALLY enjoyed was snorkeling the edge of the channel. We had to keep eyes and ears out for passing boats, but the drop-off went from 7′ to at least 30′, but the water was so clear you could see all the way down. The coral on the drop-off was better, and we saw a fever of 11 spotted eagle rays. Back in our dinghy, we headed directly east across the channel to grab a mooring. This area was a designated coral garden, but we only had a few other people there with us. The coral in this area was quite good. We saw a HUGE barracuda. The fish were expecting food but still hung out with us, even if we didn’t bring home the bacon (figuratively, do you know how hard good bacon is to find in French countries???? Lardons, people). I was pleasantly surprised that David suggested we do the same snorkel the next day – and very happy to oblige. The rays did not make an appearance, but this time we brought food for the fish. We got swarmed by little fish, close enough that they would brush up against us. Once the food ran out, a few even took nips at my fingers! We’d been keeping an eye on a location out by our anchorage where the tour boats congregated. There were no mooring balls, but we guessed what was going on: ray feedings. As we headed back from the snorkel we saw that there was only one tour boat out there, so we headed over ourselves. There were about a dozen rays and a dozen sharks, plus a lot of sharksuckers and remoras. This site wasn’t as good as the one in Moorea. For one, the tour groups were bigger (like 20 people versus individuals or small groups). Secondly, the tour boats do a “feeding frenzy” where they encourage the rays to bum-rush one person, resulting in lots of flapping, turbulence, and noise. 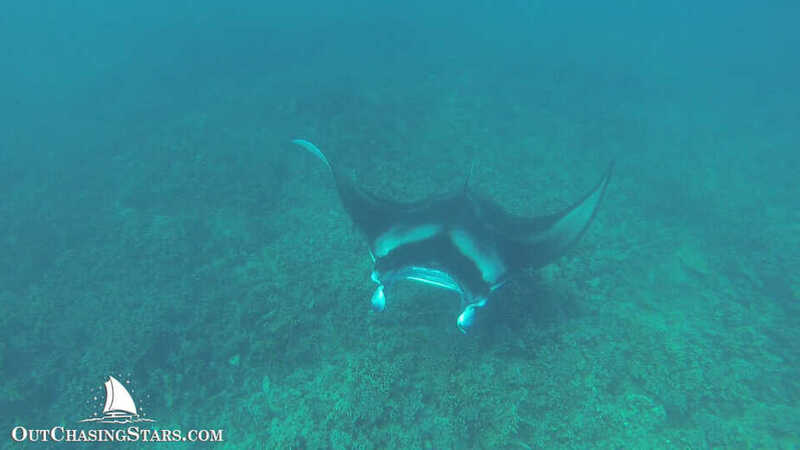 In Moorea, the rays were quietly hand fed. And here we’ve been for 6 days! The water is amazingly clear. We’ve done two snorkel spots: the better one just south of Taurere Point on the reef, and the second between Motu Piti ‘U’u Uta and Motu Piti ‘U’u Tai. In both spots the fish were plentiful, but the coral and size of the reef south of Taurere point made it much better. Off the point, we saw sharks and stingrays, and between the motus we saw stingrays, a barracuda, and an eagle ray. Both spots were crazy clear water. Thanks to a map K1w1 Beans shared with us, we knew where to find the big attraction – manta rays! Just off Fitiiu point, next to the channel marker, there are several mooring balls, some no more than anchors with a plastic bottle floating. We tied LD up there around 8 am, and dove in. The coral was excellent, but to see the rays, you have to stay in the deeper parts – essentially swimming in the channel. The first sign of a manta ray is the white of their horn-shaped cephalic fins located on either side of their mouths. These fins curl and uncurl, and provide a scoop while they forage for food. Monday we saw two manta rays and some eagle rays. The rays stay pretty deep, approximately 25 – 50 feet deep. The visibility isn’t as clear as we’ve seen elsewhere – that might be what attracts the mantas. The current was strong, but once we found a ray, we could follow them for a few minutes and occasionally dive down to get a closer view. At about 8:30 some dive/tour boats started to show up, so we packed it in and headed back to SH, and decided to stay one more day so we could go again in the morning. Tuesday morning we saw four rays, even seeing two at one time. We went a little earlier and the tour boats came a little later, so we had an excellent time. Monday morning we were at Top Dive at 8 am for our two-tank dive. The first dive spot was outside the pass. 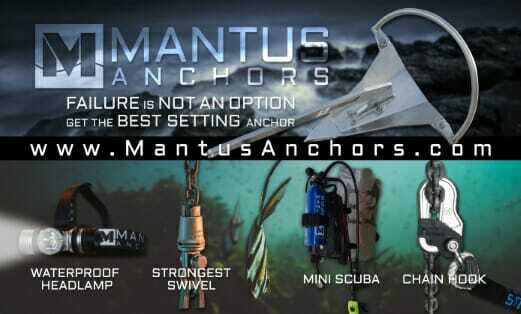 We dive in about 15m of water, with awesome visibility. The big attraction here is -surprise! – sharks. In this spot, there are blacktip reef sharks, which are usually about 4 feet big. But the big boys hang out here too – lemon sharks, named so due to their yellow coloring when they are born. The lemon sharks are 6-7 feet long and must weigh 200 pounds (the girls anyway, the males are smaller). We saw about 6 lemon sharks. In addition to the sharks, we saw a sea turtle, watched him swim up to the surface, bob for a bit and then swim back down to 70 feet! Another attraction was the humpheads, or Napoleon Wrasses. We saw several females and a large male. And of course, the reef fish were numerous; tangs, triggerfish, butterfish fish, Moorish idols, parrotfish, and even a puffer. The second dive spot was back in the same place we snorkeled to see the manta rays. The visibility was pretty bad, worse than our snorkel (maybe the difference was the time of day), but we swam around and all of a sudden looked up to find two large mantas overhead. Still my favorite sight! Our dive leader picked up a cushion star to let us touch and hold, which was pretty cool. Diving this location gave us a better view of the coral, which was vastly different from the first dive site. 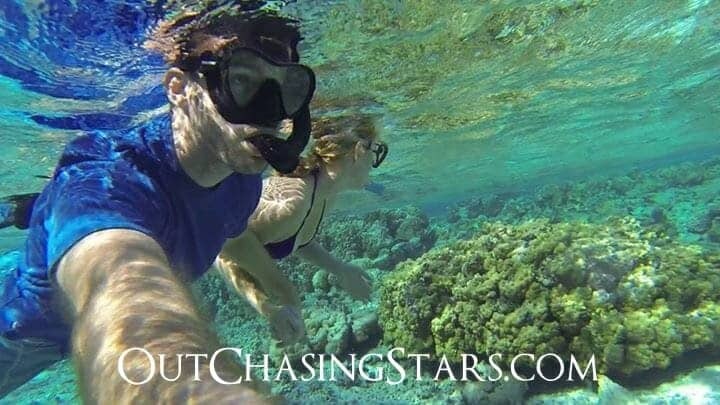 Looking for more wild adventures in Bora Bora? I can’t wait for the video! Love reading of your adventures! Thanks for sharing! Anchors away my friends! Great post. I remember seeing Manta rays on the Clipper. Can’t wait to see pictures!